Sariya Jarasviroj Brown and Louis Jarasviroj. Photo by Alexandra Henry. Sariya Jarasviroj Brown founded Circo Vino in 2009 with the goal of bringing artisanal wine from underrepresented areas to the U.S. market. Founding a company at the end of a financial recession wasn’t without challenges, but by starting very small and specializing in direct-import facilitation, Brown was able to build a successful portfolio with 14 winemakers—all of whom have a sense of humor (a requirement in Brown’s book). As she continues to build Circo Vino’s portfolio, which currently features wines from France, Austria, Arizona, and Germany, Brown looks for wines that demonstrate a sense of place and singularity of style, made from grapes that are farmed sustainably. 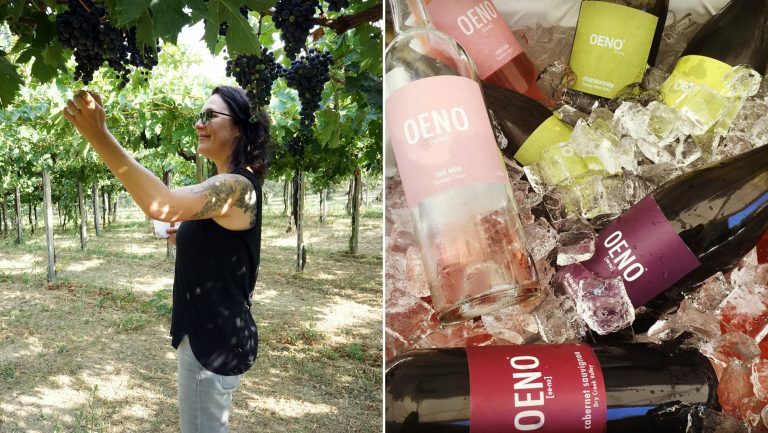 She also says she’ll only work with winemakers with whom she can make a personal connection. That carnivalesque attitude infuses all they do. The producer profiles on Circo Vino’s portfolio page, for instance, reveal each winemaker’s astrological sign and favorite hobbies, in addition to the dead-serious descriptions of the winemakers’ history, philosophy, and approach to vineyard management and winemaking. 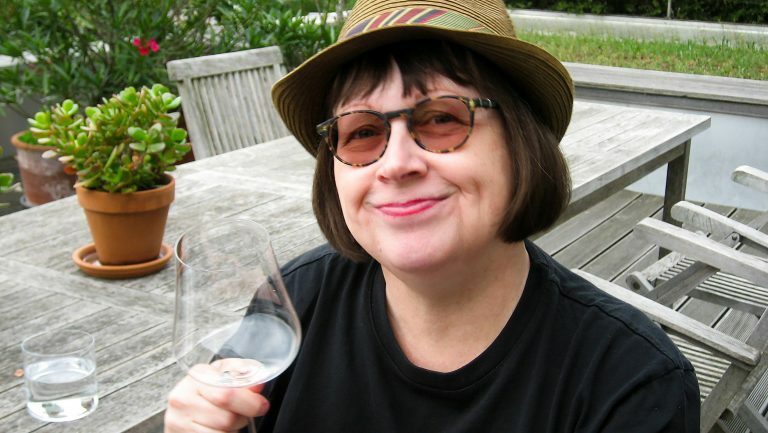 Here, Brown discusses how she has emerged, laughing and victorious, from a series of challenges, with Circo Vino not just intact but flourishing. Sariya Jarasviroj Brown: As a child, when I compiled the obligatory list of potential occupations for my What Do I Want to Be When I Grow Up? list, wine importer was certainly not on it. I came to the wine business from an academic and competitively athletic background, with very little experience in the wine trade. I blame Dionysus (yes, the Greek god) and his maenads for kidnapping me from a slow and steady life and depositing me squarely in the throes of a deep wine lust. My big break came while I was in graduate school studying comparative religion and Southeast Asian studies in Phoenix and working part-time in a wine shop to help pay the bills. Through the wine shop, I met a wine broker who represented a killer import book. I began to work with him part-time as well. This eventually led to a portfolio management job with Quail Distributing of Arizona and ultimately to a national sales position with the Chicago-based Vin Divino. Circo Vino’s first winery partner was a brand called Weingut Schellmann, which sadly no longer exists. 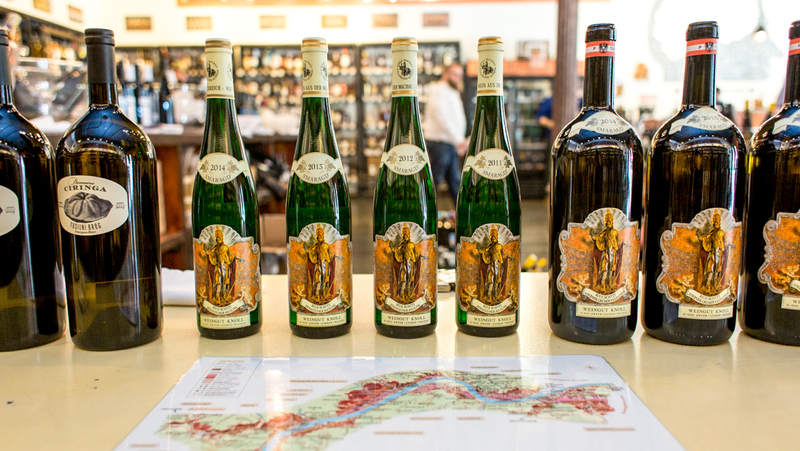 The wines of Schellmann were from the Therme region of Austria and grown by winemaker Fred Loimer, who was from the Kamptal region. 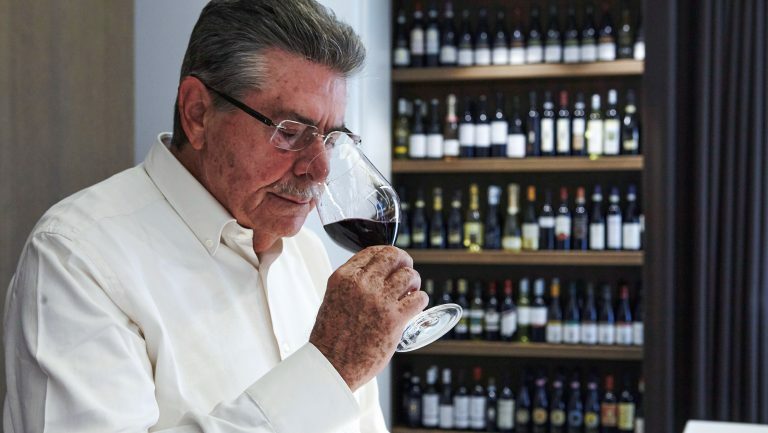 Loimer took up the mantle of winegrower for the Schellmann family when his friend and colleague Gottfried Schellmann passed away. My former business partner and I had a friendship and working relationship with the Loimers that led to our collaboration. About two years ago, the Schellmann wines were folded into the greater Loimer portfolio, and at that time we ceased representing them. There is no playbook for the wine business, especially when you’re starting a national micro-import company during a recession. 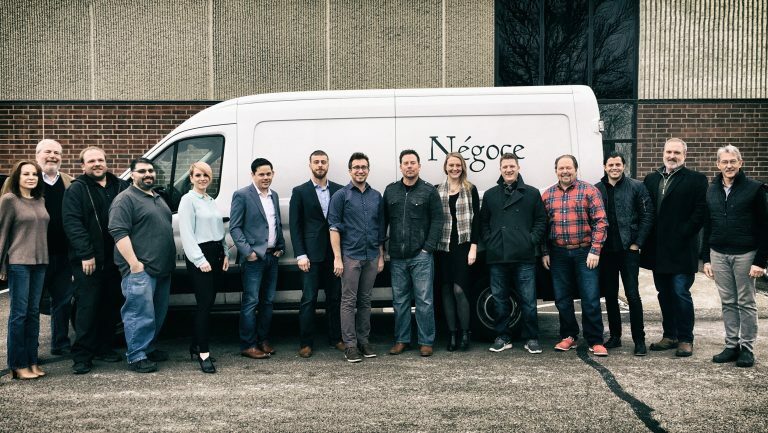 It took about a year to get our company off the ground, and our first shipment was sent to a distributor who had companies in both Washington and Oregon. It wasn’t a huge order—it comprised the equivalent of two mixed pallets—but it was extremely gratifying. I kept a copy of that first PO taped to my office wall for over a year. At that time, I was still climbing a steep learning curve with regard to operations and logistics, and seeing that first order through from start to finish was incredibly rewarding, as well as a hugely educational experience. My business suffered a one-two punch early in its life. First, I bought out my business partner because of a significant difference in our approach to wine and business, and shortly thereafter, I lost my most highly grossing winery partner. I cannot name names or give details, but I will say that it was the toughest, hard-knock set of lessons that I have had in my professional life. The two losses were unrelated and, in fact, came at a time when the business was in a good growth pattern. 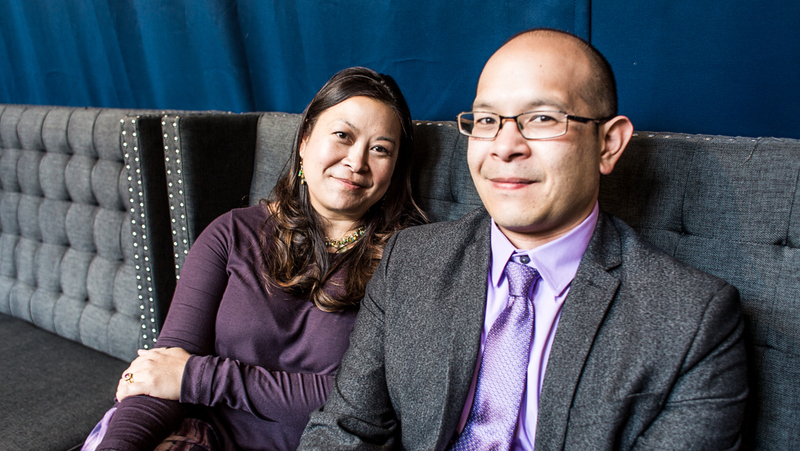 Circo Vino was knocked out of its orbit, but we have since found a new trajectory. As monumental changes were happening in my young company, our general manager told me that she was taking a new job. Since our company has always been small, with a staff of about six to eight people between sales and operations, everyone multitasks. This person was someone who could do it all—compliance, bookkeeping, logistics, and birthday reminders. While I miss her to this day, her departure provided me with an opportunity to bring my brother, Louis Jarasviroj, into the business as our VP of operations and logistics. He handles PR and marketing and generally helps me keep the ship on the correct course. He was—and is—the indispensable solution to what could have been a complicated hiring issue. While I have loved the wines for decades, I never dreamed that we would import the wines of Emmerich Knoll from Wachau, Austria. When I was initially in Austria to research the viability of having an import company, I met with Emmerich Knoll III at his family’s winery to say hello and taste some wine, simply because we were in the neighborhood. I did not bring any paperwork or an agenda to the appointment—just my tasting notebook. Much to my delight, we hit it off on both a business and a personal level and settled our collaboration over beers in Vienna later in my trip. It’s a joy and honor to work with such an incredible winemaking family. Circo Vino is small for a reason. Everyone we work with needs to be the right fit. For me, there is so much investment of emotion and self in representing the wines we import. Every winery partner whom we are privileged enough to represent is part of our dream team. There are so many things that I wish I knew then that I know now, but the main thing would be the ability to have predicted how social media and the availability of smartphones and tablets would change how we interface with wine. Podcasts, wine blogging, apps, and wine-related YouTube videos certainly bring a different dimension to how we sell wine and evaluate trends. A recent renovation to our website was spurred by a desire to make it easier to view and use on handheld devices. Tracking website analytics, while not as important as tracking sales trends, is high up on the list of tasks that help us determine if and how we are being seen in the world. How has your method of getting wine to market changed as technology has evolved? We strive to remind consumers that handcrafted wines come with a sense of place and are made with great care and effort. These wines deserve a place at the table. While it may seem counterintuitive at times, technology makes everything about that goal easier than it was even a decade ago. Are there any mentors, importers, or brands who influenced how you shaped your company? First and foremost, I have to thank my grandmother and parents for reminding me that kindness in all things is important in business and in leisure. In business, you need to understand the hard skills, but I really believe that it is the soft skills that will make or break you. At risk of sounding too metaphysical, I try to be a good student of everyone I meet. There is so much to know and learn, and the pace has gotten—and keeps getting—quicker and quicker.